Currently viewing the category: "1st Battalion"
3068 PTE. T. EASTHAM. L.N.LAN.R. 13309 LCPL. G. NICHOL. L.N.LAN.R. 7270 PTE. F. MAYOR. L.N.LAN.R. 6003 LCPL. H. WILSON. L.N.LAN.R. 25692 PTE. A. HOLLAND. L.N.LAN.R. 10577 PTE. A. FAZACKERLEY. L.N.LAN.R. 23622 PTE. T. SLATER. L.N.LAN.R. 6991 PTE. W. OVEREND. L.N.LAN.R. 20773 PTE. T. SMITH. L.N.LAN.R. 10671 PTE. F. SMALLEY. L.N.LAN.R. Rowland Charles Mason was born at Chesleigh, Edgbaston on 23rd December 1882 and was the only son of Rowland Mason, J.P. and Mrs Clara L. Mason. He was baptised at St. Asaph’s church in Birmingham on 22nd June 1883. Maurice Harold Cuffe Firmin was born in 1888 and was the second son of Nicholas Charles Penny Firmin and Amelia Cuffe Firmin of Northwood, King’s Road, Richmond, Surrey. He was educated at St. Paul’s School in West London. 6656 CPL. J. SAUL. L.N.LAN.R. 201567 LCPL. J. W. GARSTANG. L.N.LAN.R. 6850 PTE. W. SANDERSON. L.N.LAN.R. 4080 PTE. R. W. WALTON. L.N.LAN.R. 21089 SJT. J. W. WATSON. L.N.LAN.R. Patrick Hanlon was born in Liverpool in February 1880 and was the son of Irish immigrants Bryan and Mary Hanlon of 8 Cellar Street, Liverpool. 36050 PTE. J. H. ORGILL. L.N.LAN.R. John Henry Orgill was the son of James and Clara Orgill of Markfield, Leicester; and was the husband of Mrs Eliza Alice Orgill of Market Overton, Rutland and they had three children. 7998 LCPL. G. NEWTON. L.N.LAN.R. 3708 PTE. W. ELLITHORN. L.N.LAN.R. 6349 PTE. W. HOUGHTON. L.N.LAN.R. 18811 PTE. G. FLOOK. L.N.LAN.R. George Flook’s birth was registered in the District of Toxteth in Liverpool in the December quarter of 1883. He appears to have been the only child of stonemason Robert Cater Flook and Mary Hammond Virgo who married in St. Luke’s Church in Liverpool in 1881. 26449 PTE. E. CREEK. L.N.LAN.R. 10880 PTE. H. COSTELLO. L.N.LAN.R. Hugh Costello was born in Preston in 1880 and was the son of Thomas and Mary Costello who were living at 26 Edward Street. Thomas was a grinder in a cotton factory. 26678 PTE. A. WESTWICK. L.N.LAN.R. 3434 PTE. T. B. SUMNER. L.N.LAN.R. 2531 PTE. J. GALLAGHER. L.N.LAN.R. 24128 PTE. S. WIGNALL. L.N.LAN.R. 36007 PTE. W. WHITEHEAD. L.N.LAN.R. William Whitehead was born in Edgworth on 3rd September 1897 and was the son of William and Ellen Whitehead. William and Ellen (nee Pilling) had married at the Parish Church in Bolton-le-Moors on 30th December 1878 and had eleven children but sadly only seven survived childhood. 8100 PTE. D. WHITTAM. L.N.LAN.R. David Whittam was born in Preston in the September quarter of 1887 to Martha Whittam, a single lady. Martha already had two daughters prior to David`s birth; Elizabeth Ellen (1875) and Mary Ann (1880) and then the year after David arrived she had another son John (1888). 8097 PTE. J. R. THOMPSON. L.N.LAN.R. 25254 PTE. J. RAYNOR. L.N.LAN.R. John Raynor was born in Bolton in 1898 the son of Thomas and Mary Ann Raynor (nee Sharples). His father was originally from Battersea in London and his mother was Preston born and bred. 10484 PTE. H. DAVIS. L.N.LAN.R. Charles Gordon Claridge was born on 12th March 1897 in Northaw, Hertfordshire, England. His parents were Lavinia Isabella Jeapes (b. 1869) and Charles Claridge (b. 1868) who was a farmer at Colesdole Farm, Northaw. He had one sibling, an older sister Lavinia Elsie Mary Claridge born in 1895. 24148 PTE. J. PORTER. L.N.LAN.R. 2872 PTE. D. MULGREW. L.N.LAN.R. 21774 PTE. L. SOUTHWORTH. L.N.LAN.R. 17088 PTE. S. HUNTER. L.N.LAN.R. This article was researched and submitted for inclusion by Steve Wilson. Stanley Hunter was born on the 24th October 1895 at Bolton. His parents were William and Margaret Hunter (nee Southerwood). His father was a pavior working for the council. 14906 PTE. J. PEARSON. L.N.LAN.R. 57724 CPL. J. WASTELL. L.N.LAN.R. John Wastell was born in Nottingham in 1899 and was the son of another Loyal North Lancashire soldier 1863 Corporal Edmund George Wastell, 1st Bn., who would be invalided out the Army in March 1916 having sustained gunshot wounds to his leg. 22612 PTE. E. DIXON. L.N.LAN.R. 36017 PTE. H. BIRCH. L.N.LAN.R. 2447 PTE. F. KELLY. L.N.LAN.R. 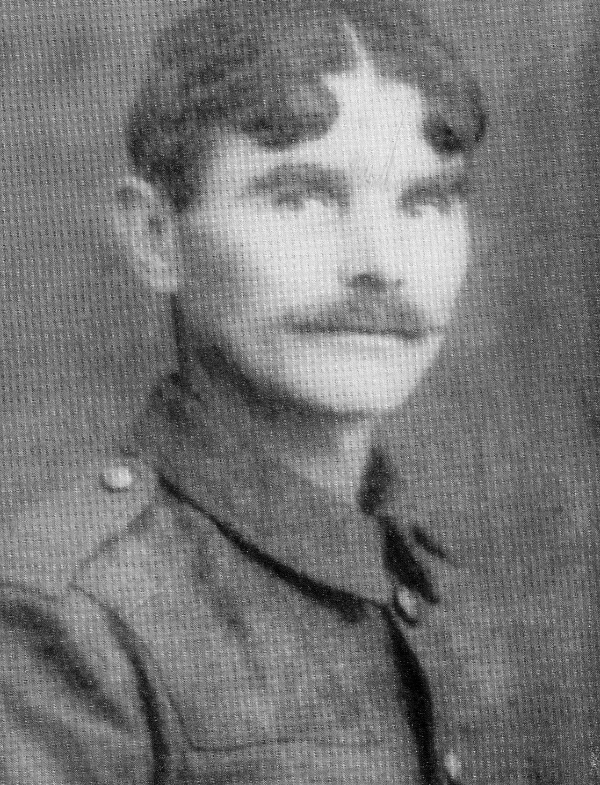 Francis Kelly was from Burnley and enlisted in the Loyal North Lancashire Regiment on 25th February 1914. He sailed to France on 4th January 1915 to join the 1st Battalion and was discharged due to wounds on 23rd September 1918 having been treated at the Star and Garter hospital in Richmond, Surrey. 2640 PTE. P. SAUL. L.N.LAN.R. 23238 PTE. P. HADDOCK. L.N.LAN.R. 23994 PTE. M. L. WALL. L.N.LAN.R. 24134 PTE. J. BARTON. L.N.LAN.R. 18816 PTE. W. WHITESIDE. L.N.LAN.R. 13389 PTE. J. STIRZAKER. L.N.LAN.R. 3918 PTE. W. HEALEY. L.N.LAN.R. William Healey born into a Roman Catholic family in Wigan in October 1876. 5790 PTE. J. H. GREEN. L.N.LAN.R. John Henry Green was born in early 1879 to Harry Henry Green, a carter, and Alice Green, a cotton weaver, of School Street, Rishton. By 1891 the young Roman Catholic family were living at 101 Spring Street, Rishton and John had a baby sister, Beatrice, 10 years his junior. 13158 CPL. V. POULTON. L.N.LAN.R. 9960 LCPL. J. JENKINSON. L.N.LAN.R. 10439 PTE. W. HARDMAN. L.N.LAN.R. 4096 PTE. W. HULME. L.N.LAN.R. William Hulme was born in Bolton on 19th May 1861 and prior to WW1 had some military service, possibly having been in the Lancashire Fusiliers. This article has been reproduced with the kind permission of the author Tom Rowsell. 15619 PTE. F. C. ATHERTON. L.N.LAN.R. 4148 SJT. H. R. ASHWORTH. L.N.LAN.R. 10954 CPL. A. JONES. L.N.LAN.R. Arthur Jones was born in North Camp, Aldershot in 1874 to Corporal John Jones of the 2nd Battalion Royal North British Fusiliers and Mary Ann (nee Burgess). John Jones who was originally from Liverpool joined the Army in October 1859 which was the same year as his marriage to Mary Ann. 4115 PTE. J. KENDALL. L.N.LAN.R. Jesse Kendall was born in Preston in August 1872. His father, John Kendall (b. 1838 in Walton Le Dale) was a spinner. His mother was Alice Wright, b. 1840 in Preston. He had a sister Isabella and brother Alfred. 2339 PTE. F. WHALLEY. L.N.LAN.R. Frederick Harold Whalley, known simply as Fred Whalley, was born in Bolton on 9th October 1898 and post-war played top flight football as a goalkeeper for Preston North End and Leeds United. 21593 PTE. J. LEACH. L.N.LAN.R. Joseph Leach was 22 when he died on the Somme on 26/9/1916. His sacrifice is recalled at THIEPVAL MEMORIAL and he is recorded in the Chorley Memorial Album in Astley Hall on page CMB/II/28a. He attended Sacred Heart, Chorley. 18472 PTE. J. P. BOOTE. L.N.LAN.R. 8373 LCPL. H. STOW. L.N.LAN.R. 29813 PTE. T. M. W. LATHAM. L.N.LAN.R. 44361 PTE. R. BARRON. L.N.LAN.R. Robert Barron was born in 1899 and was baptised on the 15th October 1899 in the Holy Trinity Church in Tarleton. His parents John and Alice Barron (nee Langley) married in the same church on the 13th October 1894. 23997 PTE. F. J. MURRAY L.N.LAN.R. William Davies was born in Newtown, Montgomeryshire in 1883. His parents were David Charles Davies and Winifred Wood. Charles Roberts was born in Kirkham on the 25th November, 1890 to Joseph and Ellen Roberts (nee Sharples). He was christened in St. John the Evangelist (The Willows) Catholic Church which is where his parents married on the 10th January, 1882. Edward William Ellis was born in Lamberth, Surrey in about May 1871. William Saunt was born in Coppull in the last quarter of 1873. When war broke out William was recalled as a Special Reservist having previously served for two years with the Kings Own Yorkshire Light Infantry. John Garner joined the Militia on 25th November 1906 and transferred to the Colours in July 1908 where he completed just over four years regular service. Frederick Patrick Garrity was born in 1884 in Leigh. Edward Long was born in Swindon in November 1877, and by 1914 he was living in South Farnborough, Hants with his wife (Florence) and young child having already completed 13 years in the Army. David Mulholland was born in Liverpool in about 1889. He enlisted in Preston pre-war and, when he was killed he only had seven months to run until his service commitment was completed and he could transfer to the Reserve. Ernest Henry Melling was born in Southport in 1876. He was the son of the late Henry and Jane Melling and had a younger brother named Thomas. Ernest had served 19 years with the Dorset Regiment pre-war with the number 4324 and had since been employed as a weaver. William Hudson Wilcock was the son of Frank and Margaret Wilcock. He was born in Fleetwood and enlisted in Preston and sailed to France to join the 1st Battalion on 29th November 1914. William died of wounds on 30th January 1915 at No. 3 Field Ambulance at Beuvry. Robert Williams was born, lived and enlisted in Preston. His parents were named John and Elizabeth, he had a brother named Edward and three sisters; Gertrude, Elizabeth and Anne. Robert enlisted on 11th June 1912 and landed in France on 3rd September 1914 to join the 1st Battalion in the field. Robert Lambert was born in 1882 in Billington. He was married to Louise and they had two children, Horrace and Alice. Robert Lambert first joined the Loyal North Lancs in January 1900 and served with the 2nd Battalion in Malta, Gibraltar and Pretoria. Ambrose Rogerson was born and enlisted in Preston. He was 35 years old and had joined the Special Reserve in September having been ‘time expired’ from service in the 3rd East Lancashire Regiment (No. 8357) and since had been working as a crane driver. Having been mobilized he sailed to France on the 29th November 1914. Walter Brown was born in Preston in 1891 to William and Anna Brown (nee Dagger). His parents were married in the parish church of St. John in Preston on the 17 July 1875. This article was researched and written by Steve Wilson. Robert Beardwood was born in Wheelton, Lancashire in 1874. He is recorded in the Chorley Memorial Album in Astley Hall on page CMB/II/25a. Samuel Cox was born in Wigan in about 1894. His parents were Samuel John and Alice Cox who resided at 27 Upper Monis Street, Wigan. Charles Price was 38 years old when he was recalled to the Army when war broke out in 1914. He had previously served with the Lancashire Fusiliers becoming time expired. Charles joined the 3rd (Reserve) Battalion on 17th September 1914 and was appointed Lance Corporal the following month. George Wilding was born in Walton le Dale near Preston on the 11th October 1887 to William and Mary Ann Wilding (nee Addison). William and Mary Ann were married on the 31st May 1879 at Brownedge St. Mary`s Roman Catholic Church in Bamber Bridge. Wilfred Howard Henshaw was born in Whittle-le-Woods, Chorley in 1881. At the time of the 1911 census Wilfred was serving as a Police Constable and living with his wife, Nancy Alice Henshaw, at 9 Stafford Street, Nelson. They had been married less than a year. James Sanderson was born in 1882 at 3 Ousby Street, Preston and was baptised on the 1 March 1882 at St Thomas’ Church, Preston. After leaving school he worked in the cotton mill and served in the Militia (No. 1393). The following article was researched, written and submitted for inclusion by Linda Allsop, the Gt Granddaughter of Robert Sanderson. Thomas Ainsworth was born in Sabden, Blackburn in 1875. His parents were John Ainsworth (1836 – 1908) and Lettice (nee Whittaker) (1837 – 1879). George Devine was born in Oxford and enlisted in Curragh, Ireland. He was given the number 8600 and posted into the 1st Battalion of the Loyal North Lancashire Regiment. He embarked for France to join the 1st Battalion in the field on 21st August 1914 and was present and under-fire during the Retreat from Mons. Joseph Armstrong was born in Morecambe on 12th April 1895. His father was a tailor and he had two sisters and a brother and they were living 3 Westover street in Morecambe. This article was submitted by Ann, the Gt Niece of Private John H Ball, thank you. George Cato was born in Dingle, Liverpool in about 1893. His father was also called George and his mother was named Ann Jane. George had an older brother named John and a younger brother named William. The family all lived at 6 Rathbone Street, Liverpool. Henry was born on 25 October, 1878 and christened at St. Wilfred`s Roman Catholic Church just off the high street in the centre of Preston. He was the son of Edward and Mary Ann Clitheroe (nee Walmsley) the couple were married in the same church on 23 August, 1862. William Keen was born in Blackpool in the October quarter of 1879 and then christened on 24 January, 1880 at Christ Church, Blackpool. His mother was Lucy Margaret Keen who was originally from Oxfordshire. Guy Cunninghame Knight was the youngest son of Captain Edward Lewis Knight, of Hornacott Manor, and husband of Minne Ethel Knight. He was the nephew of Colonel Sir Frederick Winn Knight KCB. He was born in Ajaccio, Corsica on 12th December 1866 and was educated at Wellington and later at R.M.C Sandhurst. William was born in Croston in 1887 and was the son of Robert and Elizabeth Eastham (nee Wane). Robert and Elizabeth were married in St. Michael`s Church in Croston on the 18th July, 1876. James Watson Blinkhorn from Heaton was 19 years old when he enlisted into the Army on 24th September 1914 at Bolton. James had been working as a collier before joining the Loyal North Lancashire Regiment. He was given the service number 16725 and was posted into the 8th Battalion. John Henry Brewer was born on 5 April, 1885 in Bamber Bridge, near Preston. His parents were John and Ann Brewer (nee Parker). John and Ann were married in St. Leonard`s Church in nearby Walton le Dale in 1871. William John Cahill joined the Loyal North Lancashire on 12th August 1908 and sailed to France exactly six years later with the 1st Battalion, 12th August 1914. George Blundell was the husband of Annie O’Brien of 68 Adelphi Street, Preston. John Robert Ingham was christened at St. Michael`s Church, Kirkham on 1st December 1895. He was the son of William Henry and Isabella Ingham (nee Catterall). William and Isabella had married at the same church on 18th April 1895. John Robert had two more brothers, Reginald (b.1900) and Thomas Catterall (b.1904). John Stanley Charlton was born in Farnworth in about 1894. He was the eldest son of William Henry and Ann Charlton. He had two brothers, Aaron (b. c1896) and Harry (b. c1899) and a sister named Annie May (b. c1902). Henry William Budd was born to William and Alice Budd in Liverpool in 1882. The following article was written and researched by Sylvia. Harry was her grandmother’s brother. Thank you for sharing his story. Thomas Henry Murphy was the only son of Jesse and Ellen Murphy and was born in Tatton Street, Salford, Lancs on 9th Aug 1893. Within the family he was always known as Harry. Richard was born in 1892 in Blackburn and was the son of William and Elizabeth Hesketh (nee Hodgkinson). William and Elizabeth were married in Christ Church, Preston in 1878. Richard had 4 sisters, Margaret Ann (1879), Martha (1883), Elizabeth (1886), Annie (1894) and 4 brothers, Thomas (1880), Alfred (1889), George (1891) and Arthur (1898). Henry Tomlinson was born in Preston in the third quarter of 1893. His father was named William and his mother Mary. Henry had two younger brothers Joseph and William, and two sisters Margaret and Lily. Arthur Janson was the son of Alfred and Hannah Janson, of 19 Bridgeman Street, Farnworth, Lancashire. Prior to joining, he worked in a wet earth pit and attended St. Gregory’s Church. Arthur enlisted in the Loyal North Lancashire Regiment at Farnworth. He was given the service number 17906 and initially posted into the 1st Battalion. John Webb was the son of Jacob and Eliza E. Webb, of 135, Carisbrook Street, Harpurhey, Manchester. John initially enlisted into the Manchester Regiment and was given the service number 23611. Before leaving for France on 22nd June 1915 he was transferred into the 1st Battalion, Loyal North Lancashire Regiment with the number 22129. Reginald Potter was born in South Derenth, Kent in about 1878. On 25th September 1896, Reginald, now aged 18, enlisted in the East Lancashire Regiment. His service number was 4828. Reuben Davies was born in Leigh, Lancashire in the first quarter of 1891. John Cain from Liverpool served with the 1st Battalion of the Loyal North Lancashire Regiment. John sailed for France sometime after January 1916 to reinforce the Battalion in the Field. Harold Foster was born in Wigan, Lancashire on 16th August 1888. In 1911, Harold and his wife Margaret (nee Morley) were living at 7 Coop Street, Wigan. They had a two year old son named Charles, and a three year old daughter named Lydia. Harold was working as a Coal Miner (Hewer). John Barrow was the son of Nicholas and Betsy Barrow, of 129 Church Road, St. Anne’s-on-the-Sea. John enlisted in the Loyal North Lancashire Regiment at Blackpool, and was with the 11th (Reserve) Battalion whilst training. He landed in France on 7th May 1915 with a draft of reinforcements to the 1st Battalion. James Carson was born in Kirkdale, Liverpool in around 1893. He lived with his family at 50 Blackstone Street. On 28th August 1911, James enlisted for a period of six years (Reserve) service in the Loyal North Lancashire Regiment. He was 18 years old and was employed as a casual labourer. William Murray Porritt was born in the third quarter of 1894. He was the son of Charles James Porritt, J.P., and Janet Alice Porritt, of “Green Lawn”, 14 Albert Road, Birkdale, Lancashire. THE LONDON GAZETTE, 6 OCTOBER, 1914. Charles Riley was born in Preston in around 1883. His parents were William Thomas and Mary Ann Riley of 6 Schleswig Street, Preston. In 1899, Charles joined the Militia, 3rd Battalion Loyal North Lancashire Regiment. He was 17 years old, working as a pork butcher and was living with his parents. His service number was 6925. Joe Lovett was the son of James and Phoebe Lovett, of 58 Ray Street, Bolton. Joe enlisted for War Service at the recruiting office in Bolton. He joined the Loyal North Lancashire Regiment and was given the service number 18727. Walter Snape was born in Salford in September 1891. Walter was 17 years old when he enlisted in the Loyal North Lancashire Regiment on 2nd November 1908. He had enlisted in the Army Special Reserve for an engagement of 6 years, joining the Regiments 3rd (Reserve) Battalion. Robert Round was born in Accrington, he was the son of Daniel and Catherine Round and by 1914 was living with them at 153 Rippon Street, Preston. William Cecil Rowell was born on 29th November 1892 and was the only son of Mr and Mrs Spencer Rowell of Kenwyn, Newton Abbot. William Henry Parsons was the son of James and Emma Parsons, of 37 Vernon Street, Hill Fields, Coventry. Prior to the War he was employed as a printer in Bolton. During the War, William served with the 1st Battalion, Loyal North Lancashire Regiment. William Alfred Robinson enlisted in the Loyal North Lancashire Regiment at the Burnley recruitment office on 15th July 1916. At the time of his enlistment he was 31 years 10 months old, indicating he was born around September 1884. Michael Condron enlisted in the Liverpool Regiment on 20th May 1915 in Knowsley, Liverpool. He was posted into the 17th (Service) Battalion and given the service number 26628. At the time of his enlistment he was 19 years old and had been living at 20 Park Street, Bootle. He had been employed as a seaman. William Whittle was born in Bolton, Lancashire in March 1880. George McEwen (also spelled McKeown) was born in Wanganui, New Zealand. James Henry Dyball was born in Carshalton, Surrey in about 1880. John Chadbond enlisted in the 2nd Volunteer Battalion, Loyal North Lancashire Regiment on 22nd January 1900 at Preston. He was 22 years old and was given the service number 7591. At his enlistment medical he was described as being 5ft 6in tall, with grey eyes and brown hair. John William Clark was born in Oakenshaw near Blackburn. On 24th September 1914, John aged 42 yrs 6 mths, enlisted for 1 years Special Reserve service in the Loyal North Lancashire Regiment at Preston. John had previously served for nearly 12 years in the Regiment (no 3078). John had been working as the town postman. John Smith was born in the parish of Atherton, Lancashire. On 9th May 1914, John traveled to Preston and enlisted in the Army Special Reserve, signing a term of engagement for six years. He was 19 years old, 5ft 7in tall, weighed 123lbs and had brown eyes and dark brown hair. James Molyneux sailed for France with the first wave of the 1st Battalion, Loyal North Lancashire Regiment on 12th August 1914. James was found guilty of desertion and subsequently shot at dawn on 15th June 1916. He was buried in the Maroc British Cemetery and subsequently any medals were to be forfeited. William Watts was born in the parish of St Vincent, Liverpool. William was married to Mary Ann, they lived at 144, Upper Frederick Street, Liverpool. They had a daughter named Elizabeth. William Hunter was the son of James and Margaret Hunter, of 55, Coronation Street, North Shields, Northumberland. On 4th January 1915, William sailed for France to reinforce the 1st Battalion, Loyal North Lancashire Regiment. James Foley was born in the parish of St Annes, Blackburn around 1893. Frank Ashworth enlisted in the Loyal North Lancashire Regiment on 13th April 1916 and served overseas with the 1st Battalion. Frank was wounded whilst in France, this would have happened shortly before the Armistice as he was discharged as wounded on 3rd December 1918. He was issued the Silver War Badge number B54352. James Kenyon was born in Preston on 23 April 1898 – he is noted as being 3 years of age in the 1901 Census, living at 42 German Street, Preston (later renamed Owen Street), son of Elisha and an Irish mother Mary. Both worked in the cotton industry. Nathan Dixon was born on 15th April 1891 at Heapey near Chorley. He was the son of Thomas and Elizabeth Jane Dixon, of Calender Cottage, Wheelton, Chorley, Lancs. Private Nathan Dixon embarked for France on 12th August 1914 with 1st Battalion, Loyal North Lancashire Regiment. His service number was 9532. William Henry Gallimore was born circa 1885, and joined the regular Army when he was 18 years old in 1903. He was previously been part of the 2nd Volunteer Battalion, Loyal North Lancashire Regiment. Elijah Waddilove was born in Preston in 1891 to his father Richard, and mother Ann. By 1911 Elijah had already enlisted in the Loyal North Lancashire Regiment and was serving with the 1st Battalion at Tidworth barracks in Hampshire. Percy lived with his parents, John & Elizabeth, at 31 Charles Street, Cheadle. He enlisted in Stockport, originally serving with the Manchester Regiment (service no. 2092), before transferring to the Lancashires quite quickly. Walter William Timms was born in Berkswell, Warwickshire on 18 February 1891. He enlisted in the Loyal North Lancashire Regiment in Coventry and was posted into the 1st Battalion. Martin Mannion was the son of John (originally from Bollington, Cheshire) and Mary. At the time of the 1901 Census, the family were living at 38 Simpson Street in the Bradford area of Manchester. There were five children living at home – John (18), Mary (16), Catherine (13), Martin (12) and Elizabeth (5). John Henry Earlam (Irlam) was the third child of John Earlam and Eliza Ann Arrowsmith who married at St Elizabeth’s Church, Reddish in the late 1880s. By 1901, they were living at 30 Edward Street, Reddish. Hamilton Clearie was a butcher and living at 1 Grangeknowe, Dundonald Road in Troon when he enlisted in the Royal Artillery on 8th December 1915. He was posted into the 6th Training Reserve Battalion, and given the service number 175533. Hamilton was 32 years old and had no previous military experience. Samuel Hunt enlisted in the Loyal North Lancashire Regiment on 11th November 1914, and landed in France on 8th August 1915 with a batch of reinforcements for the 1st Battalion. William Mounsey was born in Preston, and before the war had lived in Burnley. William served in the 1st Battalion, Loyal North Lancashire Regiment. His service number was 10729. He first disembarked in France on 22 September 1914 with the 1st Battalion. William was a Corporal. John Hollows enlisted in the Loyal North Lancashire Regiment on 30 November 1904. He signed up on a short service engagement being three years with Colours, and nine in the Reserve. He was an 18 year old general labour and had previous experience in the 3rd Battalion, the Militia. John Thomas McNulty was born in Newcastle, Northumberland circa 1885. He enlisted in the Loyal North Lancashire Regiment on 22 March 1907, aged 22. By 1911 he had been promoted to Lance Serjeant and is shown on that years census as living at Fulwood barracks. Samuel Butterworth was born in Millbrook, Cheshire in 1884. His father, also called Samuel was a cotton minder, his mother was called Mary. James had two older brothers, Harry (c.1878) and James (c.1882), and two younger sisters Ann (c.1886) and Sarah E.(c.1888). George Henry Goldie commissioned into the Loyal North Lancashire Regiment and was made Second Lieutenant in 1906. In January 1910 he was promoted to Lieutenant. On 12 August 1914, George landed in France with the 1st Battalion and was present, and subsequently killed during the ‘Retreat from Mons’. Isaac Thomasson enlisted as a Private in the Loyal North Lancashire Regiment on 25 March 1903. His service number was 7147. By 1914 Isaac had been promoted to Lance Corporal and was in the 1st Battalion. He landed in France on 12 August 1914 and was present at the ‘Retreat from Mons’. Thomas Cocking was born in Blackburn in 1870. Thomas joined the Loyal North Lancashire Regiment on 01 January 1894 and spent 8 years with the colours and 4 in the reserve. His service number was 4743. He then joined the Blackburn National Reserve up until 1914. James McNicholas enlisted as a Private in the 1st Battalion, Loyal North Lancashire Regiment on 18 August 1914, this was five days after the Battalion had landed at Le Havre. William Robinson served with the 1st Battalion, The Loyal North Lancashire Regiment. His service number, and that he was an Acting Sergeant suggests that William was a pre-war regular soldier. George Jones was born in Pendleton, Manchester on 13 January 1895, to his father Ernest and mother Alice. He had two brothers William and Edward and an elder sister Ada.